GPS - The Falls on Eagle Creek, 145 meter el. The Falls is north of Estacada. that has a yellow gate. The gate is a tow away zone. 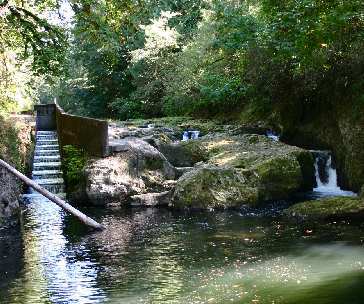 The Falls is accessible from paths towards the right.